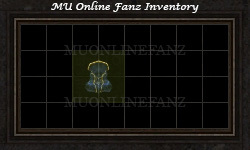 [Guide] [Mini-game] [Blood Castle] <+> [MU Online Fanz] <+> Official 3rd-party [MU Online] Fan Site & Game Guide! [Guardian Archangel] has been injured and his Castle has been plundered by [Kundun's] army! During their attack, [Kundun's] army managed to steal the [Divine Weapon of Archangel] from [Guardsman Archangel]! He is asking for assistance from travelers to force entry back into his Castle, and recover the weapon so he can regain his full strength. There is no penalty upon death in this [Mini-game]. The crafting ingredients can be obtained from monster drops. Talk to NPC [Messenger of Archangel] to enter [Blood Castle]. One of the strongest warriors in the Continent of MU, the [Guardian Archangel], has secretly been laying watch over the lands that he has sworn to protect. 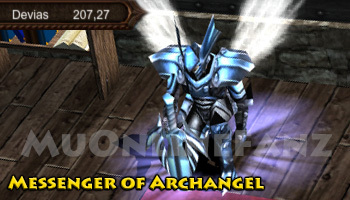 Since Kundun's awakening, the Archangel has been warding off all the monsters trying to invade the Continent of MU. But alas, the Guardian Archangel could not fend on his own forever; Kundun's army has invaded his Castle and has overcome his strength. Guardian Archangel, injured and in peril, summons forth the warriors of MU to come aid him in his most dire time of need. Unable to recover his injuries, and unable to regain his strength without his [Divine Weapon of Archangel], you have been asked to infiltrate this, now over ridden, bloody Castle and retrieve his weapon for him. To succeed, you'll fight past the bridge and force entrance into the castle gate. You'll have to slay several monsters inside the Castle, obtain the [Divine Weapon of Archangel], and return it to him to complete his request. However, only with the [Cloak of Invisibility] will you be allowed onto the Castle grounds. The [Mini-game] is divided into different [Difficulty Levels] to group players fairly, according to their [Character Level]. These are the times which the [Mini-game] actually starts! You must enter the [Mini-game] during its [Entry Period], which is up to 6 minutes prior to the listed start time. The [Entry Period] closes one minute before the [Mini-game] starts. A minimum of 1 player must enter, or it will not start. 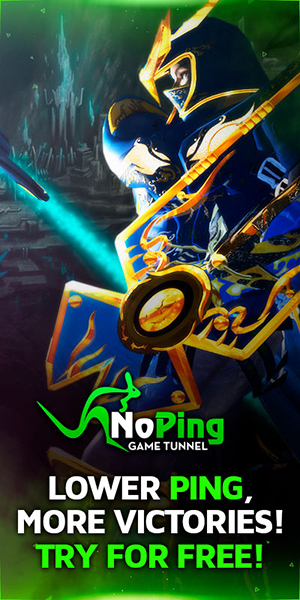 A maximum of 10 players can join in a single instance. A character is limited to participating in a total of 4 instances per day. [Party] is allowed and can be formed inside the [Blood Castle] map. Any character with a [PK Status] cannot enter the [Blood Castle] map. [Trade] command is not allowed. [Town Portal Scroll] warps characters to [Event Square] map. Upon death characters are moved to [Event Square] map. The arena is a long bridge, which leads to a castle's gate. You'll start on the side of the bridge opposite of the Castle. In the area you've spawn, you'll see NPC [Guardian Archangel] laying on the ground. Speak with NPC [Guardian Archangel] before the [Mini-game] starts. Once the [Entry Period] has passed, there is a 1 minute delay before the [Mini-game] starts. 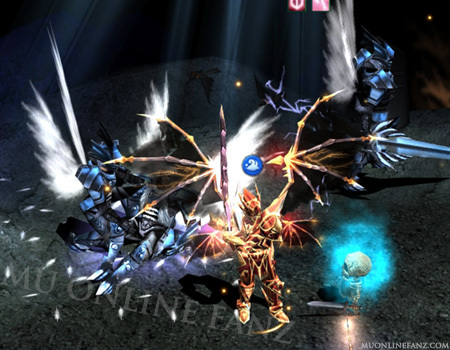 When started, large quantities of monsters will instantly spawn throughout the arena. If a monster is killed, another will spawn to keep a constant monster count. Monsters will continue to spawn over 15 minutes. The clutter of monsters on the bridge will make it difficult to move. You'll want to make your way through the monsters, towards the Castle. Form a [Party] with other characters and stay close to each other. Use [AOE] [Skills] to kill monsters, in order to help clear a path on the bridge. Kill any monster (x40), for each [Party Member]. Kill [Magic Skull] (x2), inside the [Castle], for each [Party Member]. Destroy the [Spirit Statue] inside the [Castle]. Pick up the [Absolute Weapon], which drops after destroying the [Spirit Statue], and return it to [NPC]. The winner of the [Mini-game] is based on [Event Points]. You must survive the entire [Mini-game] to be ranked. All ranked winners of the [Mini-game] will earn rewards, as listed in the [Reward List] section. By earning additional [Event Contribution], a character can increase the [Mastery Box] reward amount. [Mastery Box] is only rewarded from [Difficulty Level 4] and higher. Based on the amount of [Event Points] earned during the [Mini-game]. [Party Members]: based on the amount of monsters killed. The [Fairy Elf] [Character Class] with an [Energy] [Stat] greater than [1,500], earns [Event Contribution] based on their [Party Member's] [Event Contribution]. You'll be rewarded with [EXP], if you or your [Party] survives the [Mini-game], depending on your overall participation. While in a [Party], the other [Party Members] will gain 50% of their [Party Member's] earnings.